A decision on the planning application for the new ‘iconic’ foot bridge to replace the town centre railway crossing was made on Wednesday 24 October. Jumble Lane crossing is due to be closed by Network Rail in March 2019 with a temporary bridge in place. At a recent meeting of Barnsley Civic Trust, Sarah McHale from Barnsley Council told us that the new permanent bridge is designed by Renato Benedetti (Benadetti Architects) who also designed the new bridge in Castleford. The structure cost is estimated at £5m with £2m from Network Rail and £3m from BMBC. The bridge will be ‘stunningly’ lit at night and the bridge deck is a 1.8 meter deep steel channel wide enough to cope with large flows on match days. It has to be high enough for electrification and wide enough for platform extension in case these are planned in the future. The main points raised at the Barnsley Civic Trust meeting were the nature of the deck and not being able to see out of it, the nature of fencing to the railway (Network Rail insisting on palisade), and the look of the canopy to the ‘funicular’ lift at either side of the bridge for people with disabilities and pushchairs etc. The meeting, however, liked the bridge and thought that it has come a long way from its first incarnation. Barnsley Civic Trust conveyed these views to the council and in addition we commented that it appears from the positioning of the ‘funicular lift’ on the opposite sides of the bridge at both ends that people in wheel chairs and cyclist will have to cross from one side of the bridge to the other, cutting across the route that everyone else will take. This can’t be right, can it? A presentation on the design of the proposed new £5 million pedestrian bridge at the Jumble Lane railway crossing is taking place at a public meeting in September. All are welcome on Monday 24th September at 7.00pm. The presentation will be given by Sarah McHale of Barnsley council. Sarah will describe how the design of the new bridge has developed. The bridge is part of the Barnsley Town Centre redevelopment and Sarah will inform us how the design developed following consultation and professional design review. This is an open meeting open to everyone interested in this topic. A short Annual General Meeting of Barnsley Civic Trust will precede the presentation on the design of the new railway crossing pedestrian bridge on Monday 24 September at Hope House Church, Blucher Street, Barnsley S70 2AP. The date of the next BCT dining club meal is on Friday August 31st, 7.30pm, at The Garrison (Used to be Lucorum) on Hanson street opposite the Civic Hall. Contact Phyllis or Rebecca if you would like to join the group. Two interesting talks follow a short business session / annual general meeting. Sharron Sutton will talk about the development of the Museums and Arts service in Barnsley, and Paul Bennett will talk about the development of the new Library, somewhat controversially called Library @ the Lightbox. 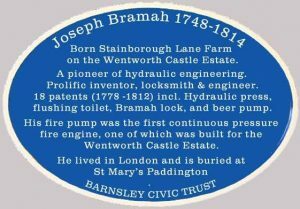 Each year South Yorkshire Industrial History Society holds the Joseph Bramah Lecture, sponsored by Barnsley Council, to commemorate the great engineer Joseph Bramah, who was born at Stainborough. This year the lecture is given by John Bramah and its theme is ‘Bramah, a tradition of engineering’. 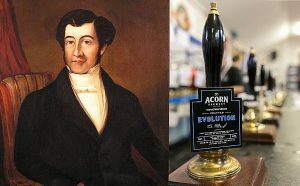 Barnsley Civic Trust has produced the Blue Plaque to commemorate Joseph Bramah and is promoting the lecture jointly with South Yorkshire Industrial History Society and Barnsley Council. The lecture will be on Monday 19 March at the The Cooper Gallery, Church Street, Barnsley, S70 2AH, starting at 7pm. Admission free but donations to South Yorkshire Industrial History Society appreciated. Today’s (Sunday 18th March) Blue Plaque ceremony has been cancelled by the promoters due to the weather conditions and advice not to travel. Look out for a new date. We seem to be plagued by snow – this is the second time we have had to postpone it. 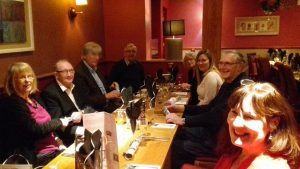 The next Barnsley Civic Trust dining club event is on Friday 11th May. Contact Rebecca to book a place. Friday 23rd February; Friday 11th May; Friday 6th July; Friday 17th August; Friday 28th September; Friday 9th November. Then one in Dec for Christmas.